Draft: 2008, Chicago White Sox, 5th rd. Daniel Claiborne Hudson...Originally signed by White Sox scout Chuck Fox ... Nine-year MLB veteran ... Signed minor league deal with Angels Feb. 8, 2019 ... Has appeared in Majors with four organizations (White Sox, Diamondbacks, Pirates & Dodgers) ... Selected by Chicago (A.L.) in fifth round of 2008 First-Year Player Draft ... Went to Old Dominion University (VA) ... Was named Second-Team All-Colonial Athletic Association in 2008, First-Team All-CAA in 2007 & a freshman All-American by Collegiate Baseball in 2006 ... Graduated from Princess Anne HS (VA) in 2006 where he won AAA State Championship in 2005 and was named First-Team All-State as a pitcher and Second-Team All-State as a first baseman ... Underwent Tommy John surgery in 2012 and had the procedure again in 2013…Was fourth player to have ligament replacement surgery in consecutive years and return to the Majors…Featured in Jeff Passan's book, The Arm: Inside the Billion-Dollar Mystery of the Most Valuable Commodity in Sports. Made 40 appearances in 2018 with Dodgers and held lefties to a .194 average (13/67)...Missed final two months of season with right forearm tightness. Set career high in appearances, one more than he made with Arizona in 2016...Posted a 2.75 ERA (36.0ip/11er) in 39 games at home and a 6.66 ERA (25.2ip/19er) in 32 road games...Produced a 3.43 ERA (39.1ip/15er) and a .211 batting average against (30-for-142) in his final 46 games, beginning on 6/2...Made his debut with the Pirates on Opening Day (4/3 at Boston) and struck out three batters in his 1.0ip; it was also his 200th career game in the Majors...Did not allow an earned run in 13 appearances from 6/27 thru 8/2 (10.0ip)...Tied career high (second time) with four strikeouts in relief on 8/25 at Cincinnati... Won his two games on 6/10 vs. Miami and 7/17 vs. Milwaukee. In his first full season following 2 Tommy John surgeries, went 4-3 with 4 saves and a 3.86 ERA (29 ER in 67.2 IP) in a career-high 64 games (1 start)…Led Arizona with 20 holds, which tied for 11th in the NL…Averaged a career-high 9.44 strikeouts per 9.0 IP (71 SO)…Start on May 10 vs. Padres (0 ER in 3.1 IP) was his first since June 26, 2012 at Braves…Earned the win on May 19 at Marlins with 2.0 scoreless innings, his first victory since June 14, 2012 at Rangers…the 2 years, 339 days between wins was the second longest by a D-back (3 years, 1 day by Micah Owings on May 26, 2011 at Rockies)…Recorded his first career save on June 14 at Giants. Missed the entire season after re-tearing his ulnar collateral ligament in his right elbow...Underwent his second Tommy John surgery on June 18 in Birmingham, Ala. (performed by Dr. James Andrews)...Made 1 rehab start with Double-A Mobile (1 ER in 2.0 IP)…left the game with right elbow soreness...Started 3 Extended Spring Training games. Made just 9 starts in his third season with the D-backs,going 3-2 with a 7.35 ERA (37 ER in 45.1 IP)...did notpitch after June 26 due to a torn ulnar collateral ligamentin his right elbow...On the 15-day disabled list for the first time in his careerfrom April 21-May 27 with a right shoulder impingement...Removed from his start on June 26 @ Braves with rightforearm tightness...MRI the following day revealed atorn UCL...Underwent Tommy John surgery on July 9 in Los Angeles (performed by Dr. Lewis Yocum). Went 16-12 with a 3.49 ERA (86 ER in 222.0 IP) and 3 complete games in 33 starts in his first full season with the D-backs...Ranked among the National League leaders in starts (T4th), innings pitched (T5th), wins (T6th) and walks per 9.0 IP (9th, 2.03)...Won his first NL Silver Slugger Award®, hitting .277 (18-for-65) with 3 doubles, 1 home run and 14 RBI...joined Micah Owings (2007) as the only two D-backs pitchers to garner the honor...Led all NL pitchers in batting average, RBI, hits and on-base (.209) and slugging percentage (.369)...Was 16-8 with a 3.19 ERA (70 ER in 197.2 IP) after starting 0-4 with a 5.92 ERA (16 ER in 24.1 IP)...his 16 wins were tied for the third-most in the NL from April 26...His streak of 13 straight quality starts from Aug. 1, 2010-April 9, 2011 tied for the third-longest in franchise history with Brandon Webb (2005-06)...Had 3 complete games: June 17 vs. White Sox, July 17 vs. Dodgers and Sept. 9 vs. Padres...became the eighth D-backs' pitcher to toss at least 3 complete games in a season along with Randy Johnson (5 times), Curt Schilling (4 times), Brandon Webb (3 times), Dan Haren (once),Javier Vazquez (once), Miguel Batista (once) and Omar Daal (once)...Named co-NL Player of the Week (first honor) along with the Brewers' Shaun Marcum for May 16-22 after going 2-0 with a 1.80 ERA (1 ER in 15.0 IP)...Tossed his first career complete game in a 4-1 win on June 17 vs. White Sox, allowing a run on 3 hits and a walk with 5 strikeouts...became just one of four D-backs pitchers to toss a complete game at 24 years or younger, joining Micah Owings (2007, 24), Brandon Webb (2003, 24) and Jeff Suppan (1998, 23)...Threw his second career complete game and hit his first career home run (off Ted Lilly)...according to Elias Sports Bureau, became the first pitcher to throw a complete game and hit his first career homer since the Mets' Johan Santana on July 6, 2010 vs. Reds...Had a career-long 7-game winning streak from May 17-July 17...POSTSEASON: Suffered the loss in Game 2 of the NLDS vs. Brewers (5 ER in 5.1 IP). Was one of the most dominant pitchers in baseball over the final two months of the season with a 7-1 record with a 1.69 ERA (15 ER in 79.2 IP), .183 opponents average, 16 walks and 70 strikeouts in 11 starts for the D-backs afterbeing acquired in a July 30 trade with the White Sox...Went 8-2 with a 2.45 ERA (26 ER in 95.1 IP) and .202 opponents average with 27 walks and 84 strikeouts in a combined14 starts for the White Sox and D-backs...Earned Rookie of the Year honors from the Arizona Chapter of the BBWAA...all 11 of his starts for the D-backswere quality starts...worked 7.0 innings or more in 9 games...allowed 2 runs or less in 10 outings, giving up 3 runsonly once...D-backs were 8-3 in his starts...Among all NL pitchers enduring the final two months of the season, only the Phillies' Roy Oswalt (1.41) and theCubs' Carlos Zambrano (1.60) had a better ERA...also tied for the fewest pitches per inning at 14.5, third with a .183opponents average and 15 earned runs allowed, tied for third with 7 wins, fourth with 51 hits allowed and 5.76 hits per9.0 innings, tied for fourth with an .875 winning percentage, tied for fifth with 16 extra-base hits, seventh with 1.81walks per 9.0 innings, and tied for seventh with 79.2 innings pitched...His .997 combined WHIP with the White Sox and D-backs led all Major League pitchers that made at least 10 starts...Among NL rookie hurlers with a minimum of 10 starts, ranked first in ERA, opponents average, winning percentage,hits allowed and runs allowed...Among all Major League rookie pitchers with a minimum of 10 starts, had the lowest ERA (2.45) and opponentsaverage (.202), the second-fewest earned runs allowed (26) and the seventh-fewest walks (27)...Named to the United States roster for the 2010 All-Star Futures Game in Anaheim, Calif., but did not participate...Opened the season in the White Sox system at Triple-A Charlotte and went 11-4 with a 3.47 ERA (36 ER in 93.1 IP)...and .228 opponents average with 31 walks and 108 strikeouts over 17 starts to earn a selection to the InternationalLeague midseason All-Star team...had 8 quality starts...at the time of his promotion, led the league in strikeouts andtied for first in wins...in 7 starts in June and July, went 5-2 with a 2.03 ERA (9 ER in 40.0 IP) and .184 opponentsaverage with 15 walks and 46 strikeouts...Recalled by the White Sox on July 11 and made 3 starts, going 1-1 with a 6.32 ERA (11 ER in 15.2 IP) and .293 opponentsaverage with 11 walks and 14 strikeouts...Was acquired along with left-handed pitcher David Holmberg from the Chicago White Sox for right-handed pitcherEdwin Jackson on July 30...Made his D-backs debut with a 14-1 win on Aug. 1 @ Mets, allowing a run on 3 hits and a walk with 4 strikeouts over8.0 innings...also collected his first career hit and RBI with a 2-run single off Elmer Dessens in the fifth inning...Became the fourth pitcher in franchise history to toss at least 7.0 innings and allow 1 run or fewer in each of his first 2starts with the D-backs, joining Geraldo Guzman (2000), Curt Schilling (2000) and Brandon Webb (2003), accordingto Elias...Posted an 8-2 win on Aug. 11 @ Brewers, allowing 2 runs on 7 hits and a walk with 9 strikeouts...helped himself atthe plate with a bases-loaded, 3-run double in the sixth inning, his first career extra-base hit...according to Elias, hewas the third pitcher in 2010 to plate 3 runs and strike out at least 9 batters in the same game, joining the Cardinals'Adam Wainwright on July 4 vs. Brewers and the Marlins' Josh Johnson on April 26 vs. Padres...only 2 pitchers accomplishedthe feat from 2000-09...Had a career-high 10 strikeouts on Aug. 17 vs. Reds and did not issue a walk for the first time in a start...recorded 8strikeouts in the first 3.0 innings, becoming the first rookie pitcher to accomplish the feat since Rick Ankiel did so forthe Cardinals on July 27, 2000 vs. D-backs, according to Elias...Worked 7.0 scoreless frames allowing 4 hits and 2 walks with 9 strikeouts on Aug. 22 vs. Rockies...became the eighthD-backs rookie pitcher (10th time) all-time to throw 7.0 or more scoreless innings...Named NL Rookie of the Month for August after going 4-1 with a 1.85 ERA (9 ER in 43.2 IP) and .195 opponentsaverage with 8 walks and 42 strikeouts over 6 starts...led all rookie starting pitchers in ERA and strikeouts and led NLrookies with 4 wins...Closed out the season with a 5-2 win vs. Dodgers and came within an out of his first career complete game shutout...finished with a career-high 8.2 innings allowing 2 runs on a career-low 2 hits and 2 walks with 5 strikeouts while throwinga career-high 112 pitches...after tossing 8.0 scoreless innings with 1 hit allowed, retired the first two batters in theninth inning before allowing a hit and a walk, both of whom scored after his departure...suffered a tendon strain inhis right middle finger during the game and was scratched from his final start on Oct. 1 @ Dodgers. Went 14-5 with a 2.32 era (38 er/147.1 IP) and 166strikeouts in 26 starts over four stops in the White Sox minor-league system, earning MiLB overall Starting Pitcher of the year honors...led the organizational in era and strikeouts (1st) and tied for first in wins...limited opponents to a .200 (105-525) average...his contract was purchased from Class AAA Charlotte on 9/3...made his major-league debut in relief on 9/4 vs. Boston with 2.0 scoreless IP...was the second member of Chicago's 2008 draftclass to reach the majors (Gordon Beckham)...lost his first start on 9/21 vs. Minnesota (1 ER/5.0 IP)...earned his first major-leaguewin on 9/27 vs. Detroit (2 er/6.0 IP)...began the season at Class A Kannapolis and went 1-2 with a 1.23 ERA (3 er/22.0 IP) in four starts...was named the South Atlantic league Pitcher of theweek for 4/8-19...was promoted to class a Winston-Salem on 5/4 and made eight starts with the dash...went 7-0 with a 1.60 era (10 er/56.1 IP) in nine starts with Class AA Birmingham following his promotion on 6/18...was named Southern league Pitcher of the week for 6/15-21...advanced to Charlotte on 8/8 and went 2-0 with a 3.00 ERA (8 ER/24.0 IP) in five starts...was 9-0 with a 2.02 ERA (18 ER/80.1 IP) over his final 14 starts before joining the White Sox. Went 5-4 with a 3.36 ERA (26 ER in 69.2 IP) with 22 walks and 90 strikeouts over 14 starts with Rookie-Advanced Great Falls...Led the Pioneer League in strikeouts and ranked sixth in ERA...Made his pro debut on June 21 vs. Billings, tossing 3.0 scoreless innings with a hit and 4 strikeouts in the 4-3 win...Named PL co-Pitcher of the Week with teammate Dexter Carter for July 21-27...Went 2-0 with a 2.84 ERA (4 ER in 12.2 IP) and 19 strikeouts in 2 postseason starts, both series-clinching victories...Received honorable mention on the PL All-Star team. March 25, 2019 Toronto Blue Jays signed free agent RHP Daniel Hudson. 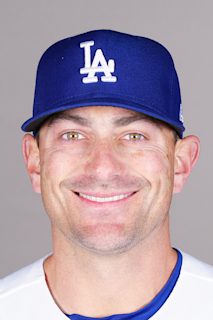 March 22, 2019 Los Angeles Angels released RHP Daniel Hudson. February 18, 2019 RHP Daniel Hudson assigned to Salt Lake Bees. February 13, 2019 Los Angeles Angels signed free agent RHP Daniel Hudson to a minor league contract and invited him to spring training. October 29, 2018 RHP Daniel Hudson elected free agency. October 29, 2018 Los Angeles Dodgers activated RHP Daniel Hudson from the 60-day disabled list. September 17, 2018 Los Angeles Dodgers transferred RHP Daniel Hudson from the 10-day disabled list to the 60-day disabled list. Right forearm tightness. August 24, 2018 Los Angeles Dodgers placed RHP Daniel Hudson on the 10-day disabled list. Right forearm tightness. August 17, 2018 Los Angeles Dodgers activated RHP Daniel Hudson from the 10-day disabled list. August 7, 2018 Los Angeles Dodgers placed RHP Daniel Hudson on the 10-day disabled list. Right forearm tightness. April 24, 2018 Los Angeles Dodgers selected the contract of RHP Daniel Hudson from Oklahoma City Dodgers. April 3, 2018 RHP Daniel Hudson assigned to Oklahoma City Dodgers. April 2, 2018 Los Angeles Dodgers signed free agent RHP Daniel Hudson to a minor league contract. March 28, 2018 Tampa Bay Rays released RHP Daniel Hudson. February 22, 2018 Tampa Bay Rays traded LF Corey Dickerson to Pittsburgh Pirates for RHP Daniel Hudson, 2B Tristan Gray and cash. December 21, 2016 Pittsburgh Pirates signed free agent RHP Daniel Hudson. November 3, 2016 RHP Daniel Hudson elected free agency. July 9, 2016 Arizona Diamondbacks activated RHP Daniel Hudson from the bereavement list. July 5, 2016 Arizona Diamondbacks placed RHP Daniel Hudson on the bereavement list. September 1, 2014 Arizona Diamondbacks activated RHP Daniel Hudson from the 60-day disabled list. August 26, 2014 Arizona Diamondbacks sent RHP Daniel Hudson on a rehab assignment to Reno Aces. August 5, 2014 Arizona Diamondbacks sent RHP Daniel Hudson on a rehab assignment to AZL D-backs. March 30, 2014 Arizona Diamondbacks selected the contract of RHP Daniel Hudson from Reno Aces. December 13, 2013 Arizona Diamondbacks signed free agent RHP Daniel Hudson to a minor league contract and invited him to spring training. December 13, 2013 RHP Daniel Hudson assigned to Reno Aces. December 2, 2013 RHP Daniel Hudson elected free agency. November 1, 2013 Arizona Diamondbacks activated RHP Daniel Hudson from the 60-day disabled list. June 4, 2013 Arizona Diamondbacks sent RHP Daniel Hudson on a rehab assignment to Mobile BayBears. February 18, 2013 Arizona Diamondbacks placed RHP Daniel Hudson on the 60-day disabled list. Recovering from July 2012 Tommy John surgery. October 25, 2012 Arizona Diamondbacks activated RHP Daniel Hudson from the 60-day disabled list. September 1, 2012 Arizona Diamondbacks transferred RHP Daniel Hudson from the 15-day disabled list to the 60-day disabled list. June 27, 2012 Arizona Diamondbacks placed RHP Daniel Hudson on the 15-day disabled list. Sore right elbow. May 27, 2012 Arizona Diamondbacks activated RHP Daniel Hudson from the 15-day disabled list. May 21, 2012 sent RHP Daniel Hudson on a rehab assignment to Reno Aces. July 30, 2010 Arizona Diamondbacks Traded RHP Edwin Jackson to Chicago White Sox; Chicago White Sox Traded RHP Daniel Hudson to Arizona Diamondbacks and Great Falls Voyagers Traded LHP David Holmberg to Missoula Osprey. July 11, 2010 Chicago White Sox recalled Daniel Hudson from Charlotte Knights. March 30, 2010 Chicago White Sox optioned Daniel Hudson to Charlotte Knights. September 3, 2009 Chicago White Sox selected the contract of Daniel Hudson from Charlotte Knights. August 8, 2009 Daniel Hudson assigned to Charlotte Knights from Birmingham Barons. June 18, 2009 Daniel Hudson assigned to Birmingham Barons from Winston-Salem Dash. May 4, 2009 Daniel Hudson assigned to Winston-Salem Dash from Kannapolis Intimidators.